Traditionally a time for new offerings and big sales, the holiday season boosts the bottom line. For retailers, the holiday season is often the busiest, as well as the most fun, time of year. Holiday packages and limited-edition offerings become available starting in October and provide a boost through the end of the year. The winter holidays often bring out the best in people. The mood is festive, the purse strings are a bit looser, and folks are inclined to indulge. For drinks brands, the right seasonal offering can translate into brisk sales. For retailers, the unique labels and value-adds, along with the promotional materials provided to support them, can create excitement and keep their stores filled with customers. 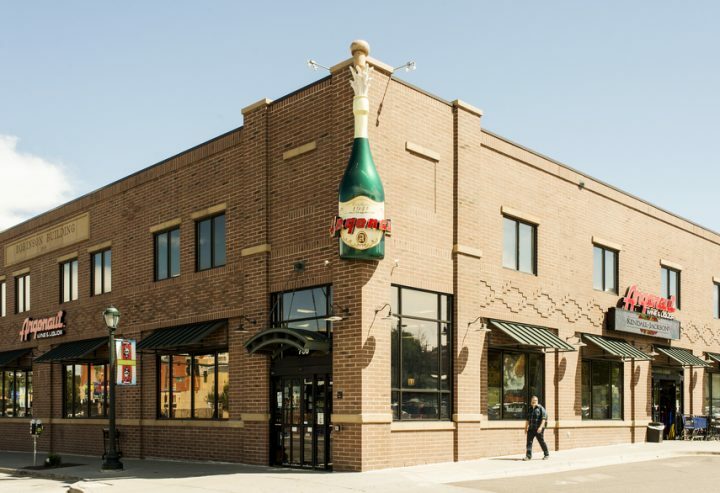 Argonaut Wine & Liquor in Denver (exterior pictured) takes advantage of the wine holiday packaging and displays that are offered by suppliers, using them to create the store's holiday vibe each winter. At Heaven Hill Brands, group product manager Reid Hafer is selective about which brands to support with line extensions or VAPs. “It’s a very saturated time, so we’ve been engaging with our bigger brands, where we can get a lot of impact on the floor,” she says. Mat Dinsmore, owner of Wilbur’s Total Beverage in Fort Collins, Colorado, says Bourbon, Cognac, and single malt Scotches in particular resonate during the winter holidays. “These products are great for gift-giving and for trial,” Dinsmore says. “This is the time of year when people are most interested in gifting and trying new things.” He anticipates that Crown Royal Salted Caramel will be the most in-demand product this holiday season, and expects to run out of stock even before the December crush. 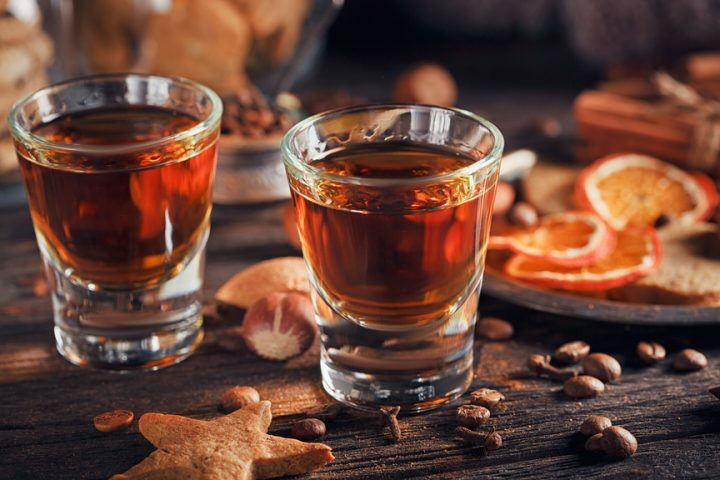 Given whisk(e)y's enduring popularity, many companies are choosing to focus their efforts on the category this holiday season, with players such as Diageo and Pernod Ricard highlighting their whiskies with holiday packages and special releases. With whisk(e)y remaining at the forefront, Pernod Ricard USA released Chivas Regal Mizunara, a limited-edition expression that pays homage to Japanese whisky makers and drinkers, in October. Chivas Regal Mizunara was originally released for the Japanese market and is a blend of malt and grain whiskies, some of which were married in rare Mizunara oak. Pernod Ricard is also relying heavily on its Redbreast Irish whiskey brand for a holiday boost. Redbreast has a longstanding partnership with Bodegas Lustau, and in recent years created the Redbreast Lustau Edition, in which the whiskey is finished for an extra year in Lustau Oloroso sherry casks. To highlight this partnership and capitalize on the age statements in the portfolio, Redbreast is offering a gift pack for the holiday that includes three 50-ml. bottles each of Redbreast 12-year-old, 15-year-old, and Lustau Edition. Diageo is also focusing heavily on whiskies during the holidays with such offerings as Johnnie Walker Blue Label Ghost & Rare Port Ellen ($350 a 750-ml. ), made with whiskies from the closed Port Ellen distillery on Islay and released this fall, and three new bottlings of Mortlach single malt Scotch ($50-$200). These are joined by Don Julio Double Cask Reposado Tequila ($60), among other holiday items. Holiday items are some of the most popular offerings each year at beverage alcohol stores like Haskell's Wine and Spirits in Minneapolis (interior pictured). As a star holiday performer for Diageo, Baileys pulls out all the stops on its holiday packaging and VAPs. The brand is offering limited-edition “festive bottles” adorned with various sayings including “Happy Holidays!,” “Season’s Treatings,” and “Feliz Navidad.” Among other cream liqueurs, Heaven Hill Brands is offering a gift set for Carolans Irish cream that includes an ice cream dish. In addition, Christian Brothers brandy and Evan Williams Bourbon get a holiday twist with seasonal offerings of Christian Brothers Holiday Nog and Evan Williams Egg Nog, which Hafer says are huge players in the holiday space. Vodka brands also capitalize on the holidays, some with unique flavors or, more often, with special packaging or VAPs. This year, Bacardi is relaunching Grey Goose La Vanille flavored vodka ($30 a 750-ml.) for the first time in 15 years. Rival Absolut vodka has launched three limited-edition sequin bottles for the holiday season. The shiny bottles ($20) feature Absolut’s latest addition to the citrus portfolio, Grapefruit, along with Absolut Lime and Original. In the Tequila space, a limited-edition 1-liter Patrón Silver Tequila bottle is available in a gift set for the holidays. The showpiece bottle—featuring a ribbon design—is the fourth in a series of annual collectible Patrón bottle design releases made for the holiday season. A metal alloy label and a green gift bag complete the presentation. 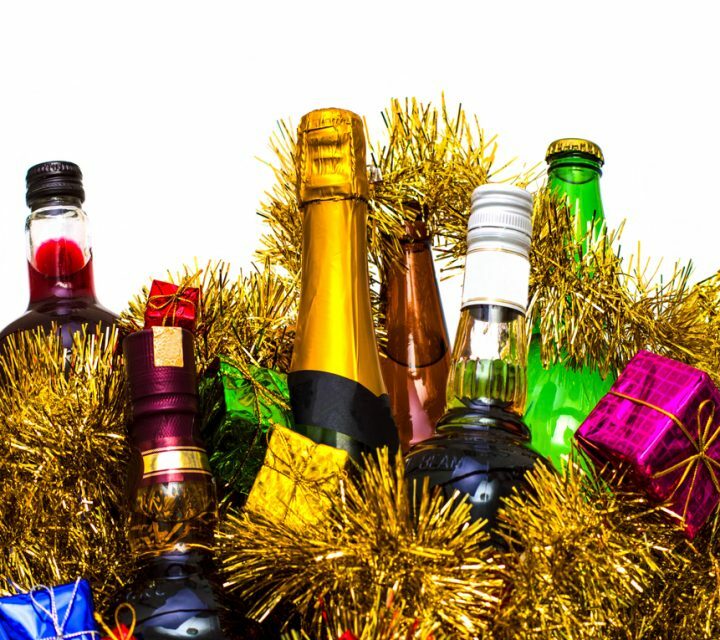 While spirits dominate holiday products and presentations, wine and beer are also increasingly getting in on the action. Palm Bay’s Whitman says that although gift packaging is less important for wines, some brands do respond well. “This year we created an attractive two-bottle box for our new Roscato Smooth and Dark wines,” she says, noting that gift packs seem to resonate more with independent retailers than chains. The Roscato Dark & Smooth gift box retails at $23. For Lunetta Prosecco, a gift box ($14) transforms into an ice bucket by removing the lid and pulling the sides apart to fill with ice. Constellation Brands has two holiday launches—one wine and one beer—as well as a holiday gift pack. The 2015 Cooper & Thief Napa Valley Cabernet Sauvignon Aged in Rye Whiskey Barrels ($60) was released in September. Separately, the Cooper & Thief red wine blend holiday pack ($30) includes a bottle of the 2016 vintage wines, two whiskey glasses, and cocktail recipes. Among the many holiday beer offerings this year is Constellation’s Ballast Point Spruce Tip Sculpin IPA, a seasonal twist on the brewery’s flagship Sculpin IPA. The product is brewed with Oregon spruce tips, giving it piney, citrusy, and woody characteristics. 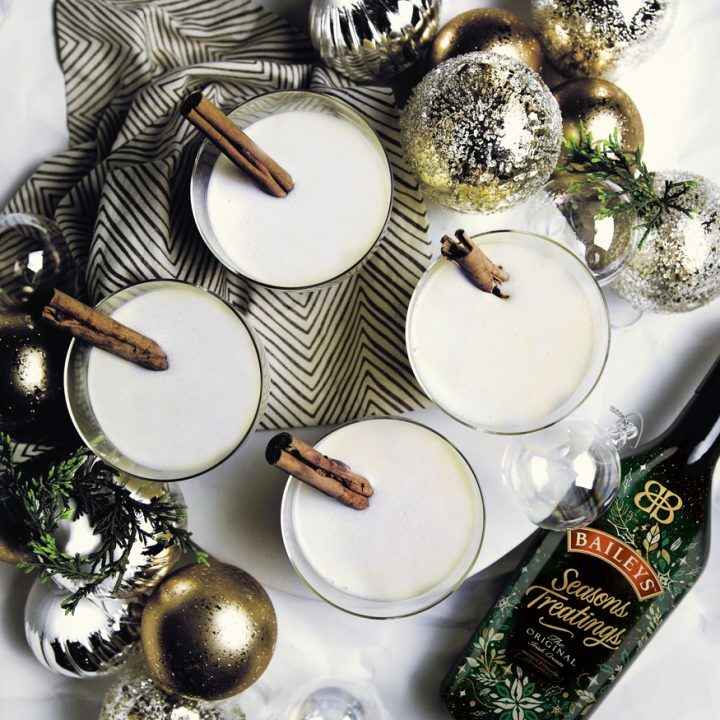 Baileys is nearly synonymous with the holiday season, so this year Diageo is highlighting the liqueur with special packaging that includes sayings such as "Season's Treatings" and "Feliz Navidad." Vaughn of Argonaut Wine & Liquor in Denver takes advantage of what suppliers have to offer. “We have holiday point-of-sale, themed bottles, and displays from our vendors,” he says, adding that those, along with gift baskets and sets, create a holiday vibe throughout the store. Keith of Pinkie’s has a similar approach, and notes that his staff need be aware of what’s on offer, since many of these products are sold at the same price as the core brand. Along with making space for what suppliers have to offer, many retailers also create their own holiday gift packs—most often in the form of baskets. 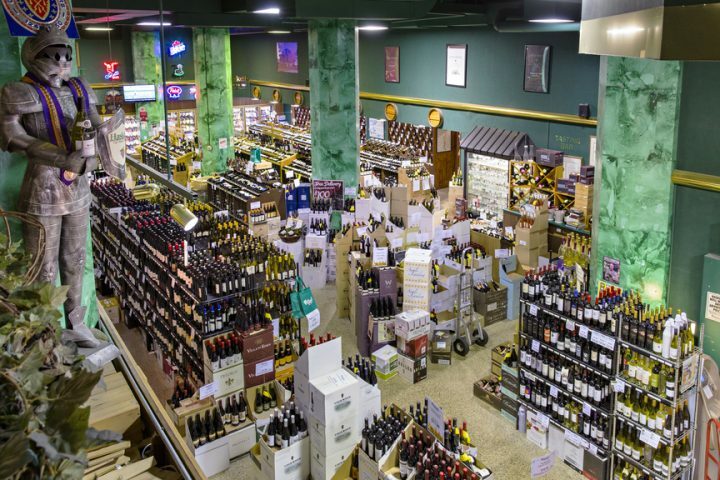 At Martin Wine Cellar in Metairie, Louisiana, such offers are a huge addition to the bottom line. “We pride ourselves on these gourmet baskets—they’re planned very carefully, starting as early as August,” says marketing manager Sara Wright.